Heart Centered Living is living according to the calling of your soul. You can recognise the calling of your soul by the feelings of joy, peace and inspiration it brings to you. However, daring to trust your heart often involves a leap into the unknown. You may be confronted with deep-seated fears about your own worth and your ability to pursue your own path. This book is a loving guide on your way to heart centered living. It contains clear and informative channelings inspired by the Christ energy. They deal with different subjects, such as finding your true passion, how to create balanced relationships, parenting the new, sensitive children and emotional healing in the face of fear and depression. They also speak about the profound transformation humanity is going through, letting go of ego-based consciousness and evolving into heart-based consciousness. This book is written for lightworkers, souls who feel compelled to go deep within and express their true soul’s calling on Earth. The teachers who speak in this book (Jeshua, Mary and mother Earth) all encourage you to take the leap of faith and become who you really are. Their teachings gently inspire you to face and overcome whatever holds you back in listening to the voice of your heart. The Jeshua Channelings speak about the rise of heart-based consciousness. Loving guide for lightworkers seeking to awaken the Christ Within. Mary Magdalene was regarded as "the forbidden female" in the Christian tradition: wild, free and sinful. This book contains a dialogue with and messages from Mary Magdalene, channeled by Pamela Kribbe (PhD). It is about male and female energy, relationships, sexuality and healing. 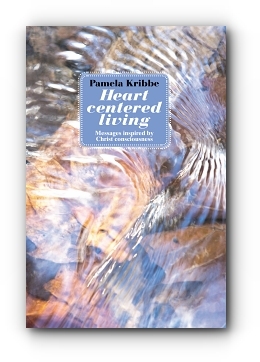 Pamela Kribbe (PhD) is a spiritual teacher and author of The Jeshua Channelings. Together with her husband, she offers workshops and gatherings about the spiritual transformation from ego to heart.